Anthony Palazzolo and son by Winnapaug Pond. Senator Sheldon Whitehouse is not a fan of Pacific Legal Foundation. In the past he has accused us, wrongly, of being a “creepy front group” in the thrall of large corporate deniers of global climate change. We weren’t impressed when we learned that Senator Whitehouse called for criminal investigations under the Racketeer Influenced and Corrupt Organizations Act of climate skeptics. Indeed, the Senator’s call created the bizarre situation where PLF was included in a RICO based subpoena dragnet of climate skeptics. I say “bizarre” because PLF has never taken a position on climate science. We’re not scientists. We’re lawyers. 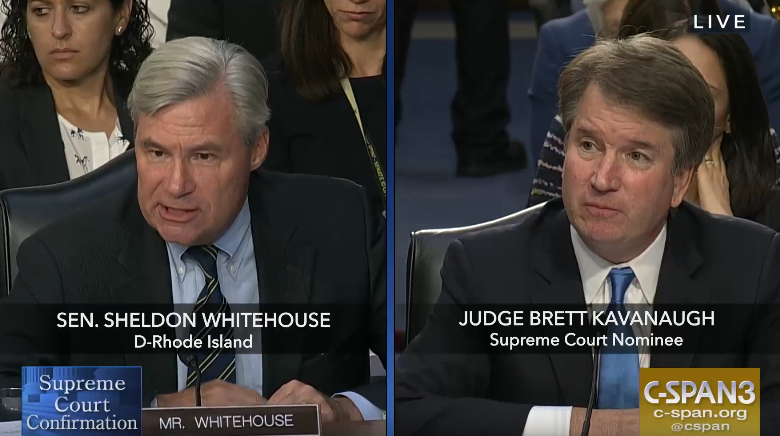 Which leads to the real reason why Senator Whitehouse doesn’t like Pacific Legal Foundation: He doesn’t like public interest litigation. He had a line of questioning at today’s hearings for Supreme Court nominee Brett Kavanaugh that laid this bare. Judge Kavanaugh: I’ve seen briefs by the Pacific Legal Foundation. Senator Whitehouse: Do you know what they do? Judge Kavanaugh: I’ll take your description. He’s talking about Anthony Palazzolo, a great man who fought the State of Rhode Island all the way to the Supreme Court. Of course, we didn’t hire Anthony. He hired us (for free) because after nearly forty years of trying to use his property, he understood we were the only hope he had left after he lost at the Rhode Island Supreme Court. Anthony was a tow-truck driver with a small towing business who bought a few acres in 1959 and 1960. He had been trying to get permits to use it for decades, but at every turn he was denied. In fact, the Rhode Island Supreme Court even said he had no right to be in court because he converted the ownership from a business structure to his personal ownership. 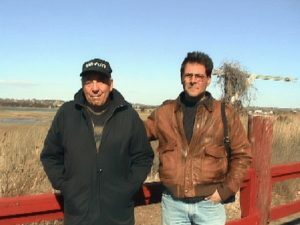 We were proud that Anthony asked for our help, and even prouder to fly across the country to the Supreme Court to make a point: Landowners should have the right to sue government when their property is taken without just compensation – no matter when they acquired the property. When I argued that point, then Attorney General Whitehouse took the opposite tack: landowners should never have the right to sue government if regulations are in place when a property’s ownership is altered. Anthony won his case and Palazzolo v. Rhode Island has turned out to be an immensely important case. It has been cited nearly 700 times in the courts since it was decided in 2001. The Senator continued in his dialog with Judge Kavanaugh by lamenting that “special interest groups [are] going out and trying to lose cases to get before the Court” and calling that “faux litigation.” With all due respect, that’s utter nonsense. We never intend to lose a case. We’d prefer to win them all in the lower courts so there would be no need to play the long odds to get a case up to the Supreme Court. But more importantly, the Senator should not call out public interest litigation because he lost the case. Palazzolo is simply one of a long string of public interest cases that date back to the founding of the republic. Years before he became a justice at the Supreme Court, Thurgood Marshall crafted and brought the ultimate public interest lawsuit: Brown v. Board of Education, which ended the pernicious “separate but equal” doctrine that had been upheld in Plessey v. Ferguson. Indeed, Plessy was brought by opponents to racial segregation as a public interest lawsuit. Unfortunately they lost, but their arguments were eventually vindicated in Brown. People across the nation understand and support our mission. (And most of our donations come from regular people, not large “dark money” corporate donors that the Senator likes to rail against.) Public interest litigation is about representing the Anthony Palazzolos of the world against government that has forgotten its mission is to protect the rights of the people, not to control and limit those rights. We will be forever proud of all our victories against government overreach, and grateful to all those clients who have asked for our help to ensure that liberty and justice remain the essential core of the American experiment.